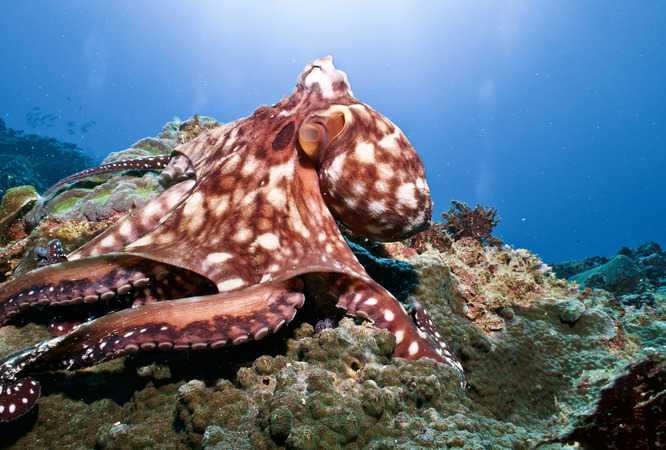 Are you planning your next Indonesian diving adventure? Are you trying to decide where to dive in Bali? Amed is one of our favourite diving destinations as it offers something for everyone and is just that little bit special. Amed is one of the only destinations in Bali where you have easy access to Bali’s most famous dive sites that include a shipwreck, stunning reefs, macro diving, muck diving and big fish diving. Add in fantastic sunsets and our very own tec center and its a great place for your next diving adventure. Amed is a small yet thriving fishing village located on the east coast of Bali so you’ll be away from the tourist crowds but have easy access to bars and restaurants for evenings out. 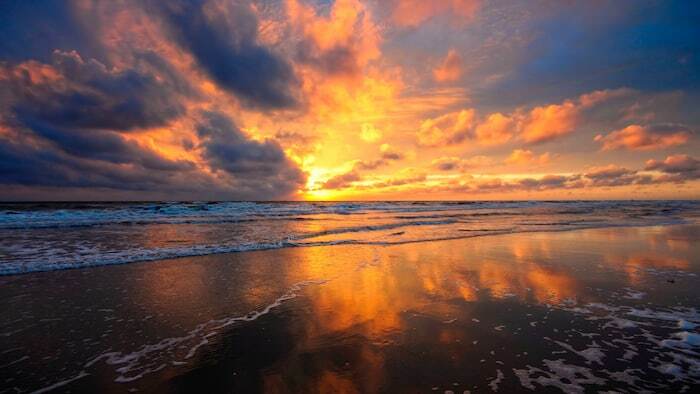 The sunsets, and especially the sunrises, over the water are second to none. Amed offers a range of diverse dive sites with everything from muck diving to drifts over stunning coral reefs. 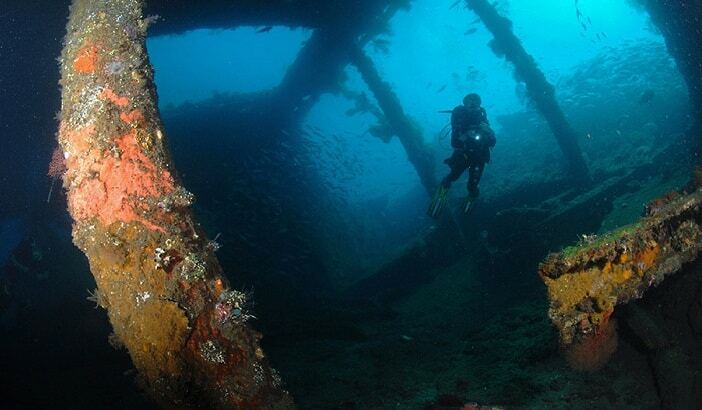 You’ll also be able to dive the famous USAT Liberty shipwreck which is just a short distance away in Tulamben. This incredible WWII wreck is completely encrusted in coral and home to a wealth of macro life as well as schooling fish which congregate here. The USAT Liberty starts from just 5 metres deep (or shallow!) and bottoms out at just over 30 metres which provides excellent wreck diving for all levels. There are also two smaller wrecks in the area, one in Amed and one in Padang Bai. Whether you like macro or big fish Amed won’t disappoint. Amed offers easy dive conditions and it’s also home to our tec diving centre so if you want to make some deeper dives and try diving with multiple tanks this is the place to do it! Not sure if Tec is for you? 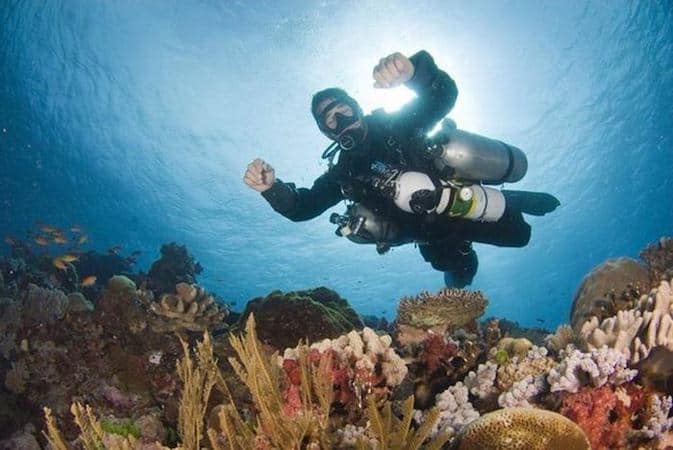 Why not start out with a Discover Tec Diving to get a feel for it in just one day? 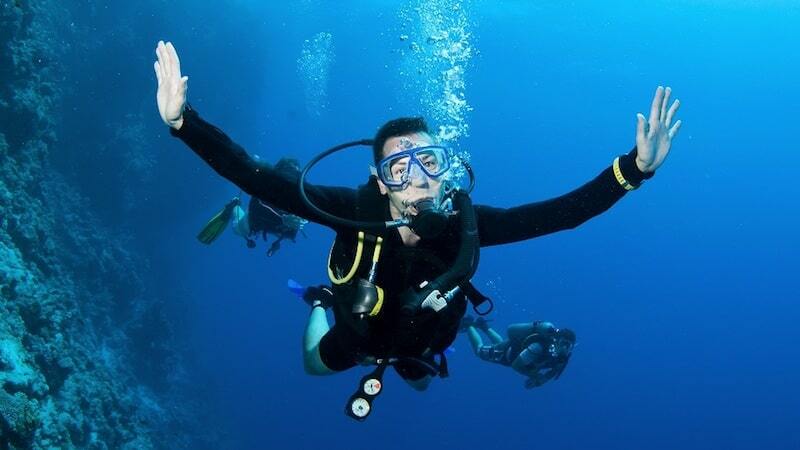 You’ll make one dive in the pool and one dive in the ocean at one of our beautiful dive sites. If you like “big fish” diving, you won’t be disappointed either, with frequent white tip reef sharks, turtles, sea snakes, jacks, tuna and barracuda they’ll be plenty on offer. Join us for a day trip and you’ll also have the opportunity to see the resident manta ray population as well as seasonal mola! This is definitely “Big Fish Country”! For muck divers and macro aficionados there are a host of black sand muck sites in Amed, Tulamben and Padang Bai which are on your doorstep.  You’ll be hunting, and finding, frogfish, ghost pipe fish, a plethora of nudibranch, cephalopods and crustaceans. Amed is an underwater photographers dream come true and our Dive Guides are excellent spotters! From our beautiful Amed base we offer day trips to Nusa Penida and Padang Bai. Nusa Penida is home to Crystal Bay (for seasonal mola sightings), Manta Point (year round manta rays) and adrenaline pumping drifts. Imagine flying over vibrant coral reefs which are teeming with life and bursting with colour. Padang Bai hosts the “Blue Lagoon” which is a “must dive” location for any one who wants to see stunning reefs combined with exceptional muck diving and wrecks in one incredible day trip. Padang Bai also offers a jetty dive which has phenomenal underwater photography opportunities. Amed provides easy access to Lombok so why not combine your stay with Two Fish South Lombok? South Lombok is Indonesia’s newest diving hotspot! The South Gili Islands are a divers paradise with pristine reefs, an abundance of marine life and some of Indonesia’s rarest critters. For those who are seeking more challenging dives The Magnet is now in full swing of hammerhead season! Combine your diving in Amed with a diving in South Lombok and we’ll give you a 10% discount on your second diving location. Check out full offer details here. For more information about diving in Amed, our combination special offer or to make a reservation, fill in the form below and we’ll get right back to you.